I know, I know, the title of the post is misleading! You must be wondering right now «Dοes she eat tuna? But I thought she was vegetarian.» No, friends! My relationship with fish belongs to the past! Haha! But this salad reminds the taste of tuna! 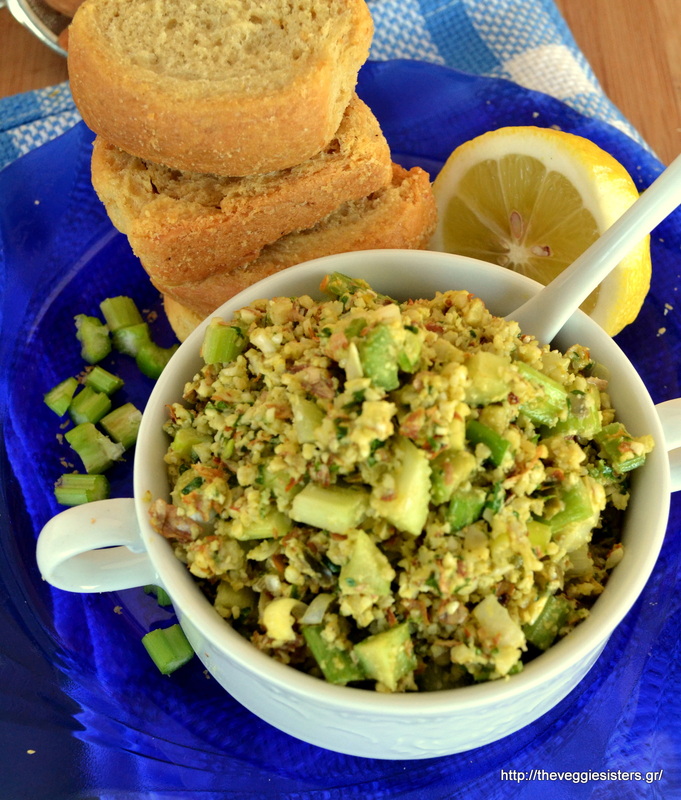 It is a crunchy, tasty, refreshing, filling salad. The best way to enjoy it is in a toast. Oh my God, this is pure bliss. One of my best toasts ever! Being a vegetarian is so much fun! You constantly discover new flavors, new combinations and you are alucky guy! To all my students that ask me «What do you eat? Just lettuce?» I say: visit our blog and find out what I actually eat! In a bowl combine all the veggies, almonds and zest. In another bowl stir lemon juice with mustard and olive oil. Season with salt and pepper. Pour this sauce over the veggies and mix well. Serve and enjoy! Keeps well in the fridge for days! 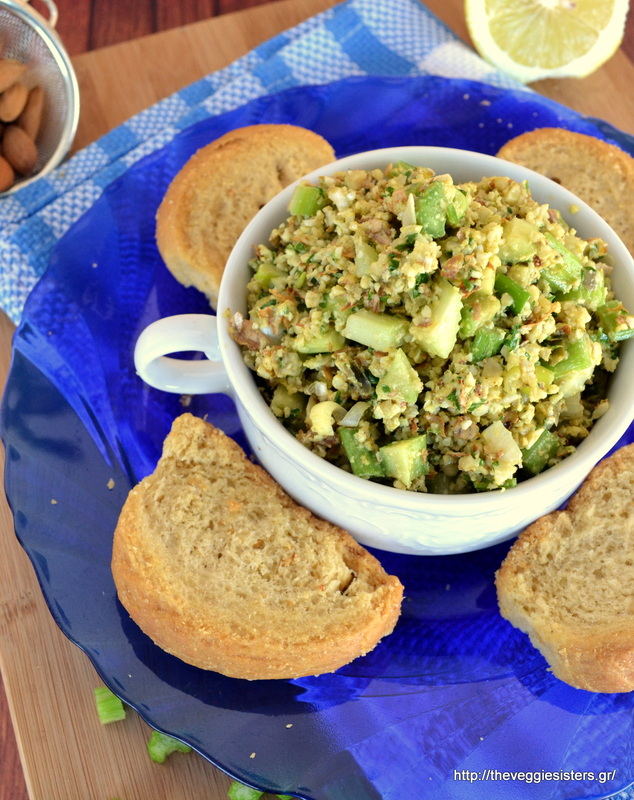 Share the post "Vegan tuna salad toast"